REI Adventures, the active adventure travel company of national outdoor co-op REI, has added 30 new trips this year, including South Africa, Mozambique, Portugal, Greece and the United States. The co-op also announced more of its popular women’s trips and options for travelers who prefer a more relaxed pace. 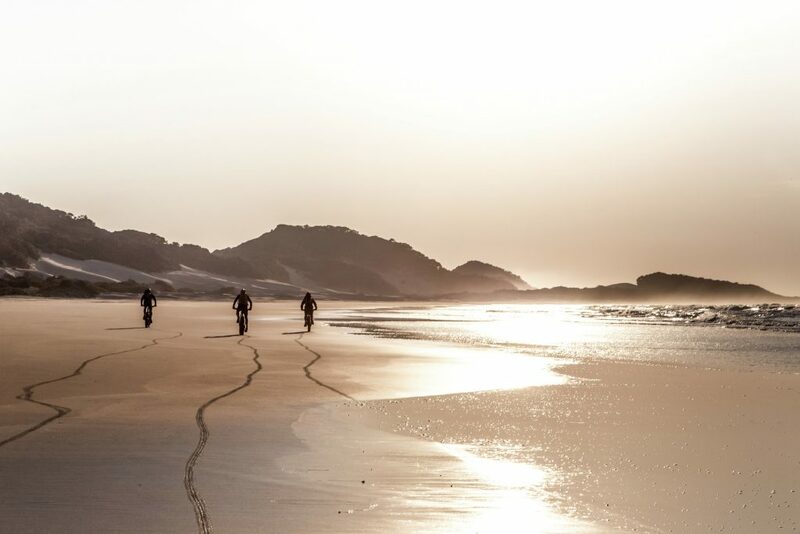 The newly launched itineraries add to REI’s collection of experiences that travelers won’t find anywhere else, like the first-of-its-kind mountain bike adventure in Zululand and Mozambique. During REI’s new nine-day Southern Africa Mountain Biking and Safari – Zululand to Mozambiqueguests are immersed in vibrant culture, unforgettable wildlife and more. Travelers mountain bike through lush hills and acacia forests, iSimangaliso’s ancient subtropical “sand forest” and UNESCO World Heritage site of Lake St. Lucia; safari in a private conservancy for the big five – lion, leopard, buffalo, rhinoceros and elephant; pedal fat bikes on Mozambique’s unspoiled beaches; and snorkel at the pinnacle reefs before enjoying down at a seaside paradise with sweeping views of the Indian Ocean. For those seeking a relaxed pace and less intensity, Discover Southern Africa – Victoria Falls, Okavango Delta, Cape Town & Kruger is a nonstop reel of bucket-list wildlife sights, walking and gentle cycling through diverse habitats of savannahs, mountains and lush grasslands. The 12-day journey starts in the adventure hub of Victoria Falls with a magical evening cruise to spot elephants, followed by a day hike to take in the thundering falls and rainbow spray. Travelers stay four nights at a private camp in the heart of Southern Africa’s most pristine safari ecosystem where they are delighted by the sights of lions, leopards, wild dog and more. Finally, the group takes a relaxed cycle trip through the famous Cape Winelands. Based on the popularity of its Camino de Santiago trek, REI Adventures is adding a seven-day Camino de Santiago – Portuguese Way trip. Together with their local guide, guests hike three historical paths of the Portuguese Camino though shorelines, forests and rural countryside. Culture and epicurean highlights include the exploration of two UNESCO World Heritage sites and local fare that features tapas, fresh-caught seafood and Iberian wine. The epic journey ends in the holy city of Santiago de Compostela. REI is also introducing a seven-day Discover the Heart of Portugaltrip that is a gentler pace itinerary where travelers explore the country’s best kept secrets from Lisbon to Porto. In response to the popularity of its easier active collection, REI is adding Discover Greece – Santorini and Crete, a nine-day sun-soaked trip that is a perfect balance of gentle activity and relaxation. REI’s easier active trips are lower impact and travelers cover fewer miles each day. In Discover Greece, guests experience Santorini by sea and kayak the Cretan coast while stopping to dip their toes in the sand or float in warm waters. They take in fields of olive groves and grapes, then hike along Santorini’s edge with unbelievable sea views and winding coastal paths, and visit the archeological sites of Akrotiri and Knossos Palace. The itinerary immerses travelers in Greek cuisine, including a cooking class. Today, more than half of all REI Adventures travelers are women. The company launched its women’s adventures in early 2017 and today the category is experiencing participation growth of 70 percent. Four new trips join the collection, including Arizona Hiking – Sedona Women’sAdventure, Coastal Carolina Women’s Sea Kayaking, Grand Canyon Women’s Backpack and Yellowstone Women’s Backpacking – Bechler River. The new itineraries are four days in length. As with all of REI’s women’s adventures, small groups are led by female guides and trips blend outdoor activities with local highlights, cuisines and communities that a traveler wouldn’t replicate on her own, including surprises along the way. Award-winning REI Adventures has been a global leader in worldwide guided active adventure trips since 1987. As the travel business for national specialty outdoor retailer REI, the company offers unique itineraries focused on sustainable, human-powered outdoor adventure, including hiking, biking, kayaking, climbing and more. Guests experience iconic destinations as guides take them off the “beaten, common path,” and provide opportunities to explore a destination, get to know the local people, their culture, the flora and fauna and discover things they would not be able to duplicate on their own or with another travel company. REI members receive a special discount price on most trips. For more information, full itineraries and trip reviews provided by guests, visit http://www.rei.com/adventures.